If you grew up with Winnie the Pooh, you will love Christopher Robin. Keep reading to find out why I don’t recommend it for younger kids, though. The beginning of the movie quickly moves through all the stages of Christopher Robin’s life as chapters in a book (complete with drawings reminiscent of the book drawings). 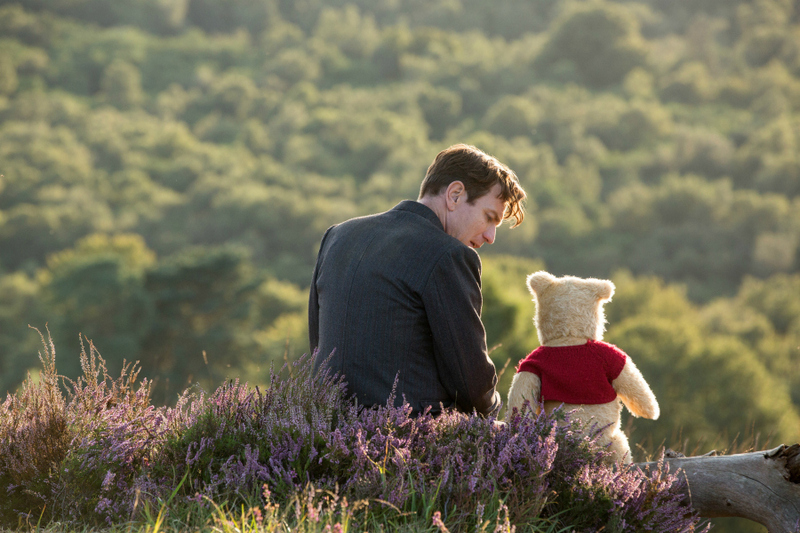 It was a unique way to get a glimpse into Christopher Robin’s life as he grew from a boy to man. Christopher Robin becomes a workaholic that is not happy with his job and doesn’t have time to spend with his family due to the pressures and stress at work. He is sad, frustrated, and overworked. 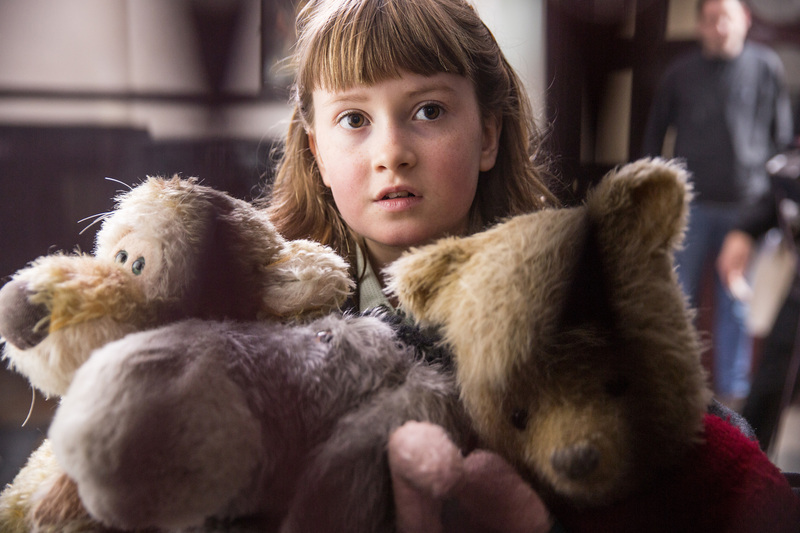 Winnie the Pooh and friends are on a mission to help Christopher Robin to rediscover the happiness he once knew. The characters are not in perfect condition, they are well loved and it gives them character. I love that they don’t look brand new because we all know that Christopher Robin went on many adventures with Winnie the Pooh and his friends. Growing up reading the stories of Winnie the Pooh, I absolutely loved the movie. 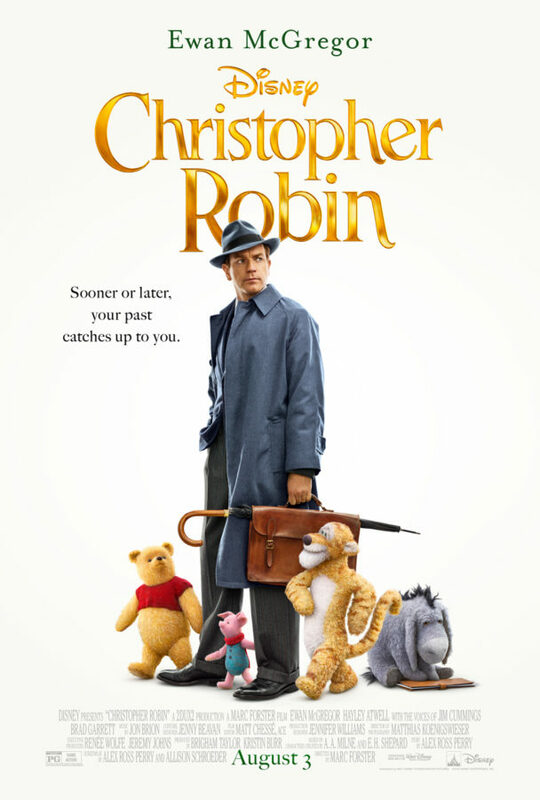 It was interesting to see a story focused more on Christopher Robin and how he grew up and came back to his friends. It was sad, funny, heart warming. I’d suggest bringing a tissue or two just in case…. I took both my kids to see the movie (9 & 13) and they enjoyed the movie. However, I do believe the movie is best suited for older elementary school aged children. There is a lot of talking and not a lot of action to hold a young child’s attention. The movie does talk a lot about Christopher Robin’s unhappiness, trouble with his marriage, and having a bad job that keeps him away from his family, but it does turn around. There is a stinger part way through the credits, so plan to stay for that. Christopher Robin opens nationwide Friday (8/3/18)!